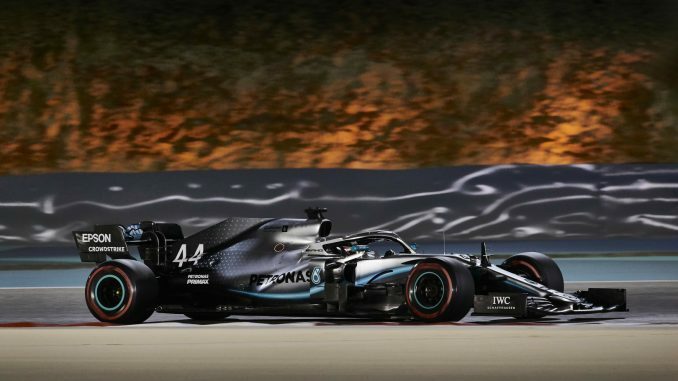 Lewis Hamilton made it two wins out of two for Mercedes in 2019 as he secured victory at the Bahrain Grand Prix ahead of teammate Valtteri Bottas, while Charles Leclerc secured his first podium finish in F1, despite struggling with an engine issue towards the end of the race. Sebastian Vettel got ahead of his pole-sitting teammate off the line to take the lead by the first corner, while the Mercedes drivers also swapped positions, before Hamilton moved back in front of Bottas after a couple of laps. 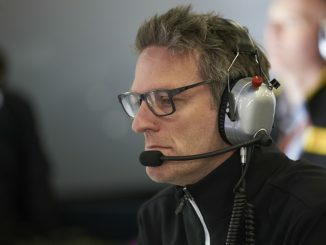 There was early action in the pitlane as Romain Grosjean and Lance Stroll tangled, resulting in the Racing Point driver needing a new front wing, while the Frenchman was left with a rear puncture. Despite struggling off the line, Leclerc retook the lead early on, with Vettel trying to immediately regain the advantage, but the Monegasque driver had the better pace. Max Verstappen appeared to be struggling on his tyres, resulting in Carlos Sainz attempting to get past the Red Bull, but his tyre glanced his former teammate’s tyre, resulting in damage to his front wing and a puncture, dropping the McLaren man to the back of the field. 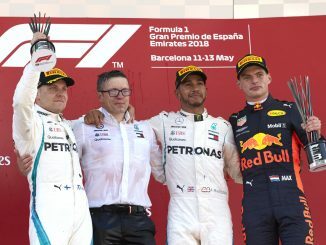 Verstappen was the first of the top five to pit, having picked up a slow puncture, which briefly moved him ahead of Bottas, who came in a lap later, but the Finn soon edged back in front. Leading on the track, Leclerc was the first Ferrari driver to come into the pitlane, leaving Vettel out a lap longer. Hamilton stopped at the same time, allowing the reigning champion to undercut the German. Daniil Kvyat was challenging for a points place when he spun after a tap from Antonio Giovinazzi, and his misery was further compounded when he was handed a five-second penalty for speeding in the pitlane. 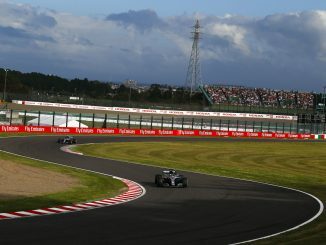 As Hamilton’s tyres started to grain, Vettel managed to retake second, but it was Verstappen who was the first of the front runners to stop again, having been passed by a lapped car on the previous lap. Hamilton was closer to Vettel after the second round of stops and looked for a way past the Ferrari. The Mercedes driver edged ahead, with Vettel immediately looking to retake the position, but he spun, wrecking his tyres and damaging his front wing, forcing the four-time champion to come back into the pitlane for a new nose and a third change of tyres, dropping him down to eighth. The German recovered well, moving back up to fifth within a couple of laps of the incident, but was well behind the top four. Daniel Ricciardo tried to make a one-stop strategy work, but started to struggle on his well-used mediums, almost tripping over his teammate before falling further down the order as cars on newer tyres cruised past. Leclerc appeared to be heading towards a comfortable victory when the Ferrari driver reported an engine problem to the team. A gap of over 7 seconds soon disappeared, and Hamilton overtook Leclerc with ease. Bottas was 28 seconds adrift in third, but the limping Ferrari soon slipped back into the Finn’s path, gifting him second with three laps to go. Verstappen also sensed a chance for a podium, needing to close a 6-second gap to Leclerc with two and a half laps left, but a bizarre double failure for Renault on the same corner led to a safety car, allowing Leclerc to hold on for the final spot on the podium. Sainz also retired in the final moments of the race having been towards the back of the field for much of the race due to his early clash with Verstappen. There were debut F1 points for rookies Norris and Alexander Albon, while Gasly took his first points since moving to Red Bull, recovering from a disappointing qualifying on Saturday. Copyright © 2014-2019 FANS Media (IOM) Ltd - This website is unofficial and is not associated in any way with the Formula 1 companies. F1, FORMULA ONE, FORMULA 1, FIA FORMULA ONE WORLD CHAMPIONSHIP, GRAND PRIX and related marks are trade marks of Formula One Licensing B.V.